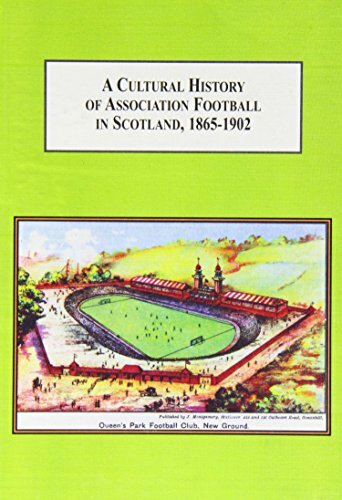 [PDF] A Cultural History of Association Football in Scotland, 1865-1902: Understanding Sports As a Way of Understanding Society | Free eBooks Download - EBOOKEE! Description: This book studies on how soccer became professionalized in Scotland in the late nineteenth century. It shows how the sport turned from an organized but recreational hobby into a for-profit sport with paid athletes. Soccer, or football as it is called in Europe, became professionalized in the late nineteenth century. This is the story of how the sport grew in popularity, and eventually became the predominant sport in Scotland. Beyond the mere Rangers versus Celtics rivalry that has risen to epic, almost mythological proportions, this book discusses the social impact of the sport on the entire country. It shows how Scotland became a modern society and its sports and entertainment evolved along with the rest of the country, and how soccer became a national pastime. No comments for "[PDF] A Cultural History of Association Football in Scotland, 1865-1902: Understanding Sports As a Way of Understanding Society".